The Monmouth County Division of Shade Tree maintains the trees along 400 miles of county roadways, Brookdale College and throughout the the Monmouth County Park System when requested. Routine trimming, hazardous tree removals, insect and disease control, tree replacement and capital planting projects are all part our daily routine. It also maintains plant material at all 43 county facilities as well as the David C. Shaw Arboretum which is located on 22 acres in Holmdel Park. Monmouth County Division of Shade Tree designs and constructs capital planting projects, memorial gardens and pocket parks when called upon. 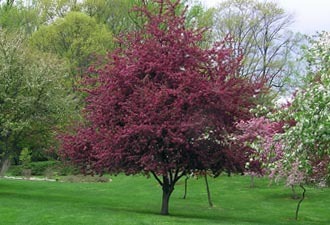 The goal is to maintain a healthy tree environment throughout Monmouth County.